1. 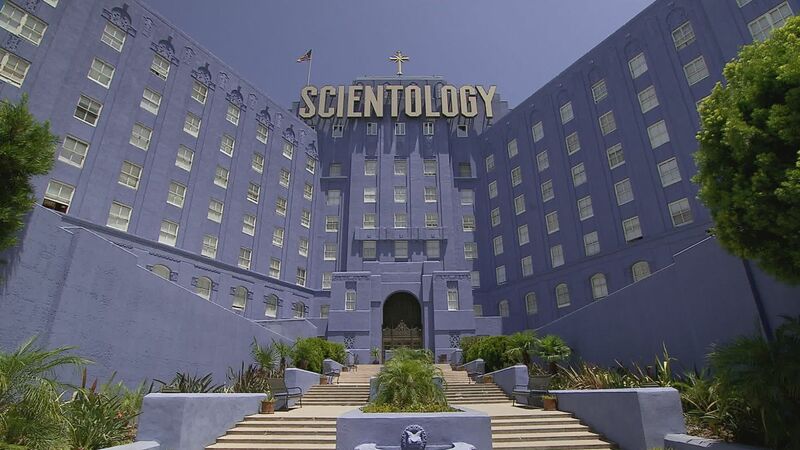 I was a member of the Board of Directors of the Church of Scientology International from 1983 until 2007, when I terminated my relationship with the Church of Scientology and all related entities. 2. I was raised as a Scientologist from the age of 6 and, as such, am well versed on the policies and procedures of the Church of Scientology. 3. During the course of my employment with the Church, I was responsible for creating the Enrollment Agreement and “arbitration” clause, and I would have been responsible for providing the rules for “arbitration.” No such rules were ever created for the “arbitration” process beyond selection of the arbitral panel, nor were, or have they ever been delineated. It simply was not the intent of the Church that the “arbitration” process amount to anything beyond a statement on paper. 4. During the course of my employment as head of the Church’s worldwide legal matters for more than 20 years, I became aware of attempts made by persons to get their money back from the Church. Every such attempt was reported to me on a weekly basis. 5. Since the inclusion of the “arbitration” clause in the Enrollment Agreement, I am not aware of a single instance where anyone has participated in “arbitration”. “Within ten (10) days, Defendants shall also provide evidentiary support for the following statements made in their Response to Court Order Regarding Arbitration Procedures: “The Church of Scientology International Justice Chief (“IJC”) has ruled that the procedures and rules governing a Committee of Evidence apply in arbitration proceedings” (Dkt. 91 at 2). Plaintiffs may rebut any such evidence within ten (10) days. (Emphasis supplied). The Affidavit of Mike Ellis offers no evidence that there has been a ruling that the Committee of Evidence Rules apply to arbitration other than to intimate that that was the intent in 1963 (when the original “policy letter” was written which is now partly incorporated into the book Introduction to Scientology Ethics), which was long before arbitration ever existed in any enrollment agreement. In fact, no such ruling of the International Justice Chief ever took place. To the contrary, the Committee of Evidence Procedure could not possibly be used in arbitration as is shown by the cites provided by the church to The Introduction to Scientology Ethics book which contains the procedures and rules governing the Committee of Evidence. The purpose and function of the Committee of Evidence is completely incompatible with the limited procedure set forth in the Enrollment Agreement for choosing arbitrators. That is because the purpose, function and procedural substance applicable to the Committee of Evidence was not, and is not, intended to apply to arbitration. (b) A Committee of Evidence functions as a fact-finding jury and is in no way similar to an arbitration panel. ” (It is] a fact-finding body composed of impartial persons properly convened by a Convening Authority which hears evidence from persons it calls before it, arrives at a finding and makes a full report and recommendation to its Convening Authority for his or her action.” (ITSE p. 338) The highest “Convening Authority” in Scientology is the International Justice Chief. (f) Unlike the procedure established for naming arbitrators, the Committee of Evidence is “composed of Chairman, Secretary, and two to five Committee members appointed by the Convening Authority” (ITSE p. 346), not three scientologists in good-standing chosen by the parties as is the case in arbitration. 7. Committees of Evidence are specifically not to deal with matters of “refunds.” Mr. Ellis has been intentionally disingenuous in para 2 of his declaration where he references the original 1963 “Policy Letter” on Committees of Evidence as referring to “refunds”. But this reference was subsequently changed, and refunds are no longer mentioned with regard to Committees of Evidence in current church policy. This is why he did not cite to Introduction to Scientology Ethics, because the word “refund” no longer appears in the discussion of Committees of Evidence. Yet at para 5 he avers that this book is the policy of the church that is “understood by members of the religion” not an obscure 1963 edition of a “policy letter” that is generally unavailable to the public. 8. Even so, the 1963 “policy letter” Mr. Ellis cites and the entire Introduction to Scientology Ethics, do not include the word arbitration anywhere. 9. On the other hand, the Enrollment Agreements make no mention of Committee of Evidence rules – the only specification concerning arbitration procedure is directly contradictory to the procedures described in Introduction to Scientology Ethics. 10. On page 2 of the Declaration of Mike Ellis, he states “since 2002, over 5,000 of these proceedings (Committee on Evidence) have been conducted”. Yet, he has not denied that there has never been an arbitration hearing in the entire history of The Church apart from an unnamed and untimed “recent” request for arbitration which presumably postdates all Enrollment Agreements and the motions in this Court. “Demanding the return of any and all donations made for standard training and processing actually received or received in part and still available but undelivered but only because of departure of the person demanding (the donations must be refunded but this policy applies)” (ITSE p. 312) and thus they are not entitled to the “benefit” of any Scientology justice procedures. I hereby declare under the penalty of perjury that the foregoing is true and correct. Executed this 15th day of October, 2014, in Palm Harbor, FL.